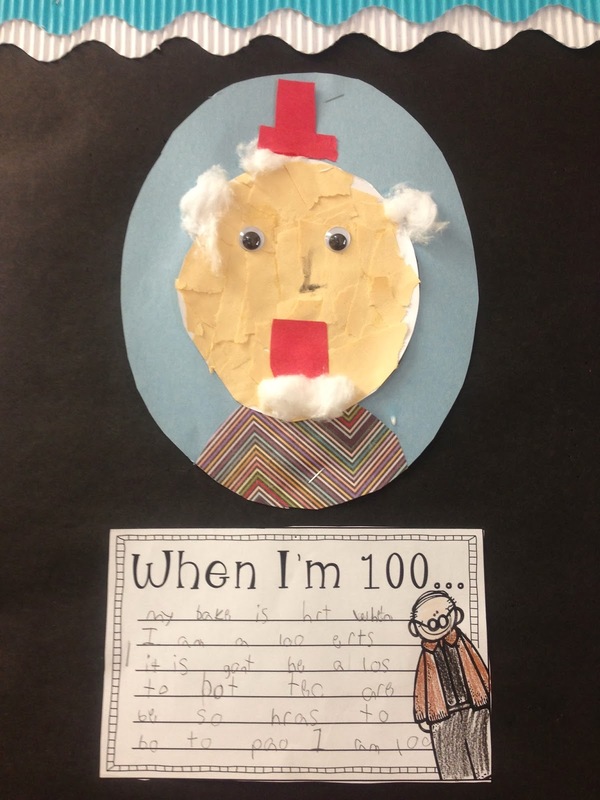 100th Day of School Craft and More! 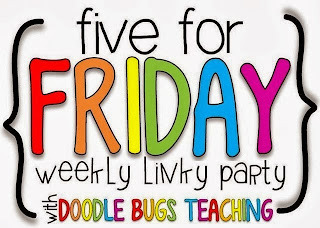 The short weeks fly by so fast, I barely had time to fit my plans in! 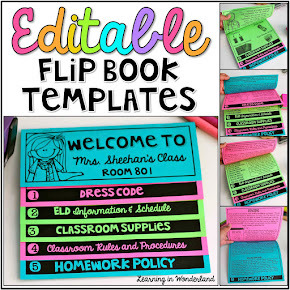 I am going to clip up my students' best work, writing, crafts, etc… To create it, I went to JoAnn's to pick up a 12x12 scrapbook pad. I stapled all four corners to the wall and added some bows to some clothespins. The ribbon is also from JoAnn's. The clothes pins are just clipped onto the scrapbook paper and not glued on. I didn't purchase enough ribbon for this idea and my store is out of this color ribbon! So I will have to pick up some more over the weekend from a different JoAnn's. I wasn't going to put a square where the light switch is, but it was driving me crazy so I decided to put one there and cut a hole for the light switch. Tuesday was our 100th day of school so we made our 100 year old portraits! They came out so cute! The idea is from Deanna Jump. The writing paper is from A Cupcake for the Teacher. This was my favorite one. This boy says that old grandpas are always yelling at kids saying "get off my yard!" so he made his old man yelling. And how about that little hat?? Precious! My grant arrived from Donors Choose for some new books! It was like Christmas in our room! I am so happy that my kids are excited about books and authors as I am. Next up, I finally received my updated teaching certificate with my brand new reading endorsement and early childhood endorsement! So excited about the possibilities for the future! Last up, something that made my month! A parent dropped by with a bag of goodies for me. She said that her daughter had been asking her to bring her teacher some gifts because she loves her so much! Mom then thanked me for teaching her daughter and went on to say that she has seen a huge difference in her daughter at home. I wish all parents knew what a difference it makes in our lives to hear these things. No gifts necessary, just a note, a call or visit means the world to us! So that is it for me. 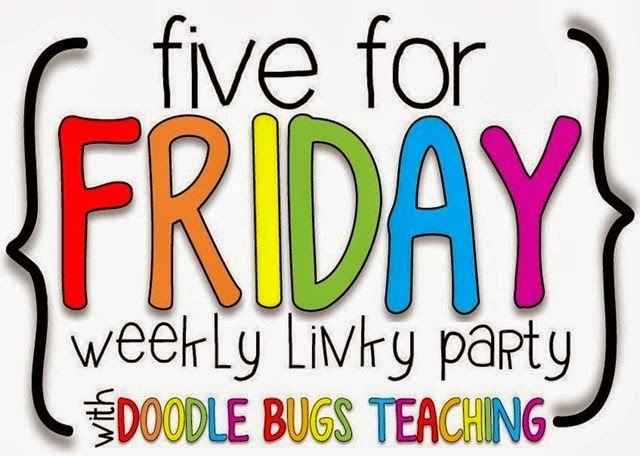 Now make sure to link up your week's happenings with Doodle Bugs Teaching and link up for Five for Friday! Cutest bulletin board ever!! It's beautiful. What a perfect way to display their best work. Love it! those 100th day people are hilarious. Happy weekend! Super cute display bulletin board! I love that paper! I love, love, love the new display. Very attractive indeed. I also am glad you got new books...gotta love Mo Wilhem. So funny--get off my yard... I'm still laughing. I always thought it would be fun to live to 100 as a kid, although as I get older I'm not so sure it would be that great : ) Great teacher gifts! Penguins and Belated MLK Fun!